Netflix this week reported strong growth across all markets, including Asia, and announced localisation efforts in Indonesia, in the latest sign that the continent holds a key part in its future growth ambitions. From this week, Netflix in Indonesia comes with a localised Bahasa Indonesia user interface and Bahasa Indonesia subtitles for many of Netflix’s popular English-language titles and a selection of Korean-language series. At the same time Netflix is bulking up the amount of Indonesian content that is available on the service by adding a host of local film titles. The move is Netflix’s latest in a logical sweep through Asia. Indonesia is the region’s third most populous behind China and then India. While China still remains a problematic market to get into, Netflix has already made progress in India. 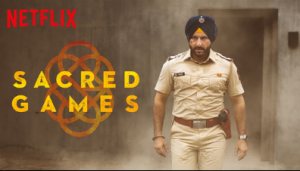 It launched its first original Indian series, a drama called Sacred Games, in July and followed this shortly after by horror miniseries Ghoul, with more Indian titles in the works. Speaking at the Economic Times Global Business Summit in New Delhi in February, Netflix CEO Reed Hastings reportedly told attendees that Netflix’s global subscriber base stood at some 120 million members and “the next 100 million is from India”. As of this week’s Q3 results, Netflix’s total user-base stood at 137 million and India was a topic Hasting and other top Netflix executives returned to on its third quarter earnings call. Chief content officer Ted Sarandos said that its early Indian originals have taken Netflix from a product that “maybe was less known in India” and made it more local and relevant, with the company noticing “a steady increase in viewer engagement prior to us launching those big original shows”. Expanding on the topic of Indian growth, Hastings said: “We’ll go from expanding beyond English into Hindi and then into many more languages, more pricing options, more bundling. All of those things are possible. Pricing is an interesting point that Netflix’s chief product officer, Greg Peters, discussed on the call. He said that Netflix may look to make faster inroads into emerging markets by cutting prices, offering an even more accessible entry-tier to entice viewers. Its existing subscription model in India starts at a rate of Rs. 500 (€5.95) per- month, relatively expensive in the context of the wider market. Alongside content and pricing, bundling is another big area that Netflix is working on. In Indonesia, it announced video data plan package deals with operators including XL Axiata, Bolt, Hutchison 3 Indonesia and Smartfren. Elsewhere, in Q3 Netflix rolled out its first mobile bundle in Japan with KDDI and expanded its partnership with Verizon in the US to pre-install the Netflix app on Android phones, while in Q4 its partnership with Sky in the UK is due to roll out. “We’ve seen it sort of an evolution from just doing device integrations into things like billing integration so we can make it that much easier for our members to sign up for the service,” said Peters. Whether this is with a mobile operator, internet service provider of pay TV company, he said the result is that Netflix is starting to get direct sign-ups with “a consumer demographic which might be less technology early adopter”. Looking ahead, Netflix expects to add a total of 9.4m customers in the fourth quarter, up from 8.3m in Q4 2017. While it does not break out which markets specifically it expects to get these from, with many more markets still to localise in, Asia presents a tremendous opportunity for further growth.